THE family of a child whose hospital death is being investigated as part of a public inquiry first announced in 2004 say they have been caused “immense distress and mental torment” by a further delay in the publication of its report. The Hyponatraemia Inquiry was first announced in 2004 and examined the deaths of five children including nine-year-old Claire Roberts who died 20 years ago at the Royal Victoria Hospital. Hyponatraemia is a condition which results in a low level of sodium in the blood stream causing the brain cells to swell with too much water and in some cases resulting in death. The issue of hospital fluids management is central to the inquiry. The high profile inquiry has already been hit by a series of delays surrounding the publication of its report. In a statement released today the chairman of the inquiry Justice John O’Hara said he would publish his report on the earliest date in 2017 that he could achieve. He said: “In March I advised that I was confident that the Inquiry report would be completed and published by the end of this year. Since then significant progress has been made on all segments of the report which will be detailed and extensive as those who are familiar with the Inquiry’s work will have anticipated. "However, notwithstanding this progress, it will simply not be possible to finish it this year. I regret this and acknowledge that those who are awaiting the report will be disappointed by this news. It will be published at the earliest date in 2017 that I can achieve." Reacting to the chairman’s statement Claire Roberts’ father Alan said: “We are hugely disappointed by a further delay. The wait for publication of this report continues to cause us immense distress and mental torment. “However, we continue to maintain that any delay is a strong indication of how serious we believe the medical failures were in Claire's care and management. 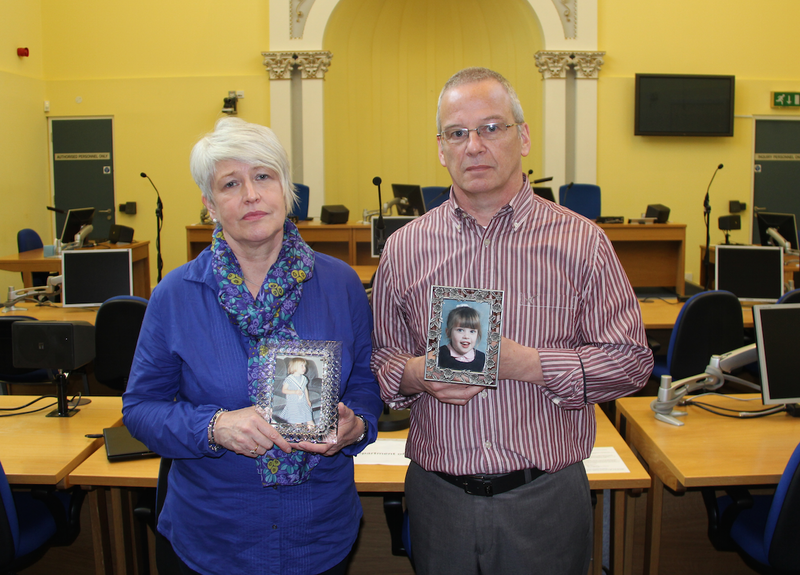 The Detail's previous coverage on the Hyponatraemia Inquiry can be read here. Click here to see The Detail’s timeline of events related to the inquiry. The inquiry was announced in November 2004 by direct rule Health Minister Angela Smith as a result of issues raised by the UTV Insight programme, When Hospitals Kill. She appointed Justice John O'Hara as chairman of the inquiry. The public hearings were due to begin in October 2005, but in January 2006 the police wrote to the inquiry team asking that the hearings be postponed as they had started formal investigations into a number of the deaths being examined by the inquiry. This delayed the commencement of the public hearings of the inquiry by a number of years. From May 2008 there were a number of progress hearings and the public hearings were due to start in November 2011, but they were delayed when the inquiry was made aware of new documents discovered by the Belfast Trust. The public hearings did not get under way until February 2012, eight years after the inquiry was first set up. They were meant to run until November 2012 but as a result of ongoing delays around the evidence to the inquiry they did not finish until November 2013. At the end of the public hearings some of the families told The Detail that they wanted the inquiry to leave a legacy. At the time the chairman stated that he hoped to complete his report and send it to the Minister by the end of January 2014. Three years on and there have been a number of statements from the chairman outlining that he was not yet in a position to publish the final report. In May this year The Detail interviewed Angela Smith who was responsible for establishing the inquiry in 2004. She said that she was "worried and concerned" that the inquiry’s report had still not been published. We asked the inquiry to comment on why the report's publication had been delayed and if Mr Justice O'Hara had received any assistance in writing the final report. A spokesperson said: "The inquiry has been given by the department any support and resources which the chairman has asked for and that the chairman is receiving assistance in drafting the report though the final responsibility for its contents remains with him and that the reason for this limited delay is the extent of the details, information and evidence which have to be analysed." The inquiry sent The Detail statistical information outlining the volume of evidence it is considering. Click here to view this in full. Commenting on the latest delay Health Minister Michelle O’Neill said: “My sympathies are with the families at this time, I realise this further delay must be a major disappointment to them.